I was an avid market goer in London and it seems that things are no different here in New York. Lucky for me the city has a fantastic and varied market scene, which I’ve thoroughly enjoyed checking out over the past year. One market however stands above the rest, a market that I am always eager to return to time and again. 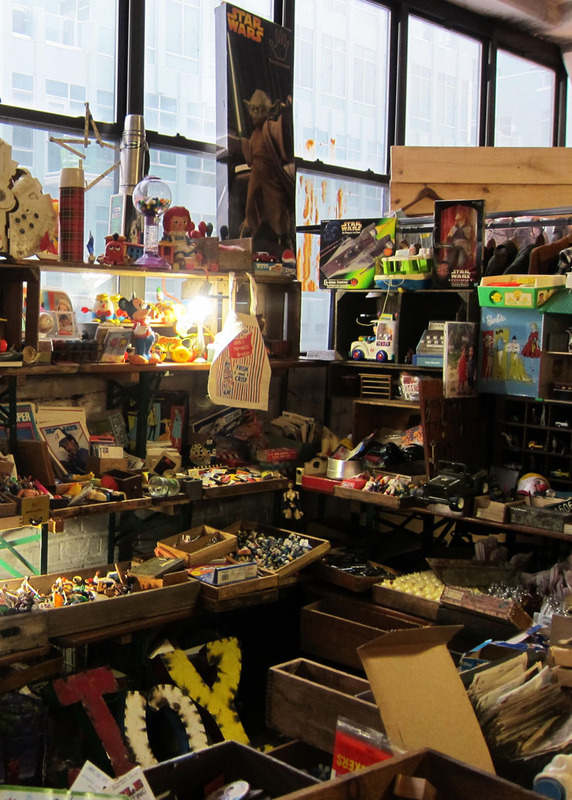 It’s the Brooklyn Flea, a weekend market full of antiques, arts, crafts, fashion and food. 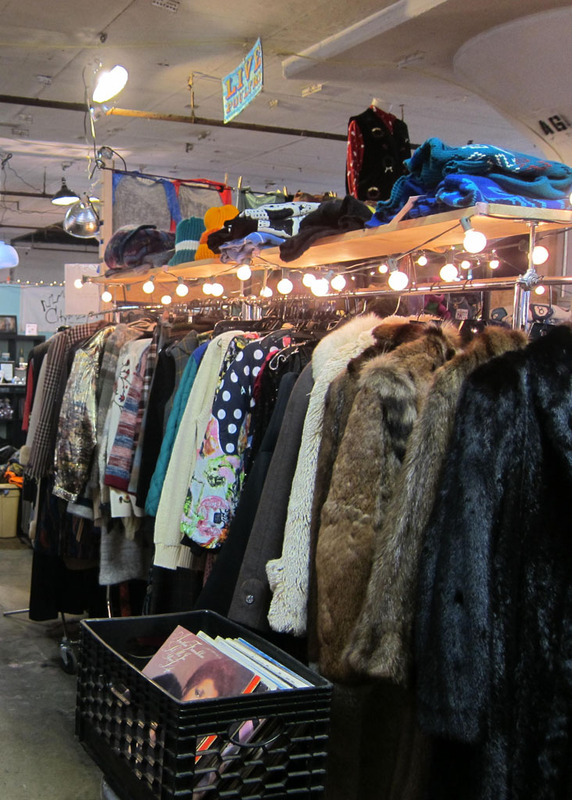 Typically an outdoor market in the summer, the Brooklyn Flea has just made its annual move indoors for the winter. 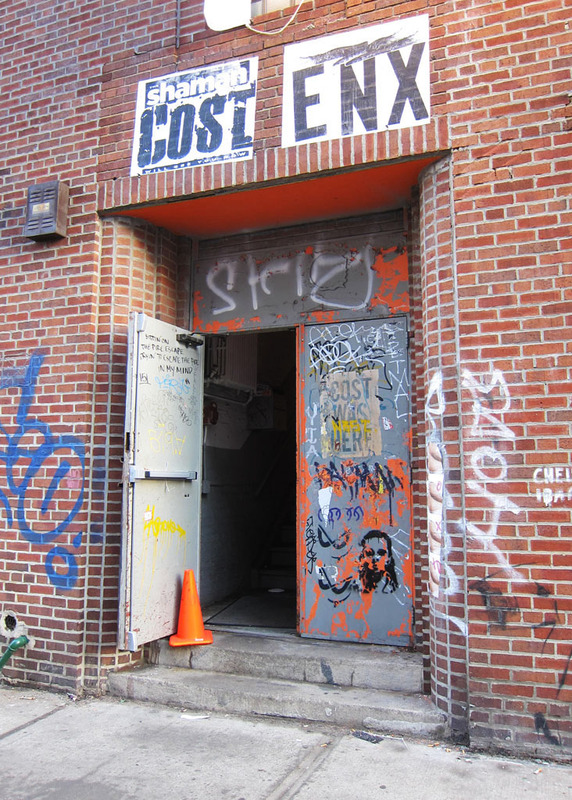 This year though it has opened at a new location in Williamsburg. Not only has the Brooklyn Flea set up shop at a new site but it has also taken with it Smorgasburg – Brooklyn Flea’s food market that has up until now operated separately. 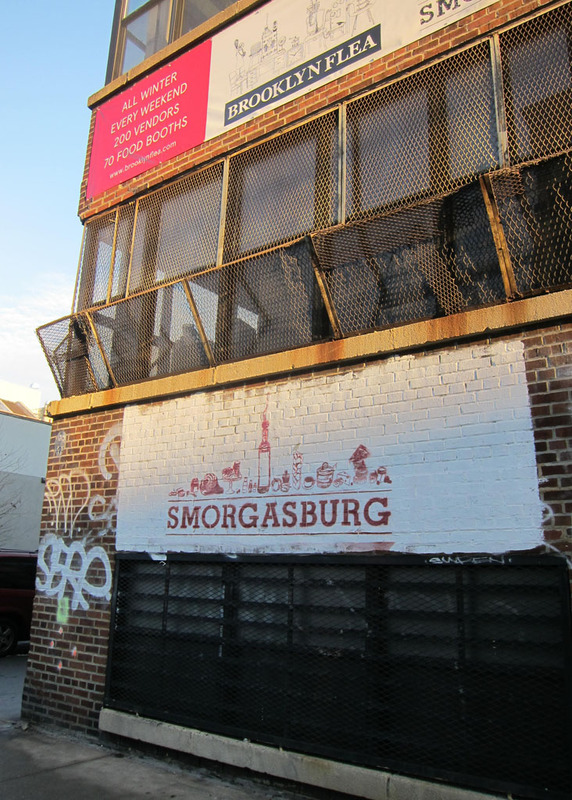 Such exciting news for foodies (like me), as it means that Smorgasburg will now run year round! Yay! 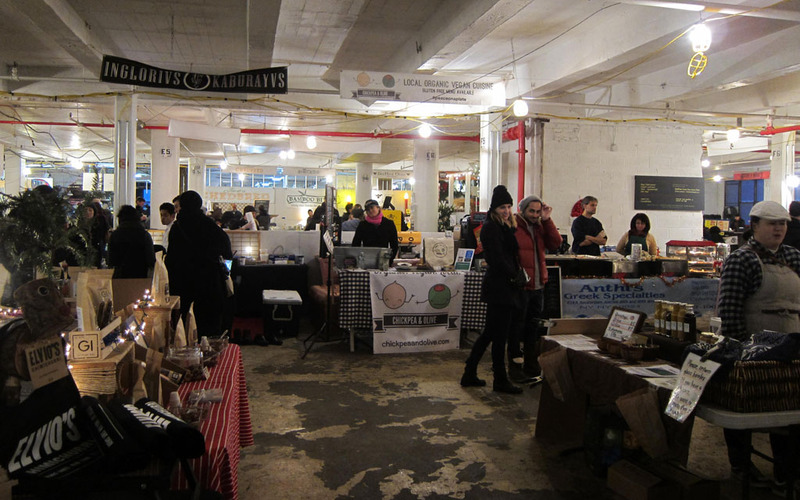 The new and much larger space also means that the Brooklyn Flea has now become the perfect place to browse and grab a bite to eat. Though with a staggering 175 goods vendors and 75 food vendors every Saturday and Sunday, it’s unlikely that you’ll leave the market empty handed. Come to think of it – I don’t think I ever have! 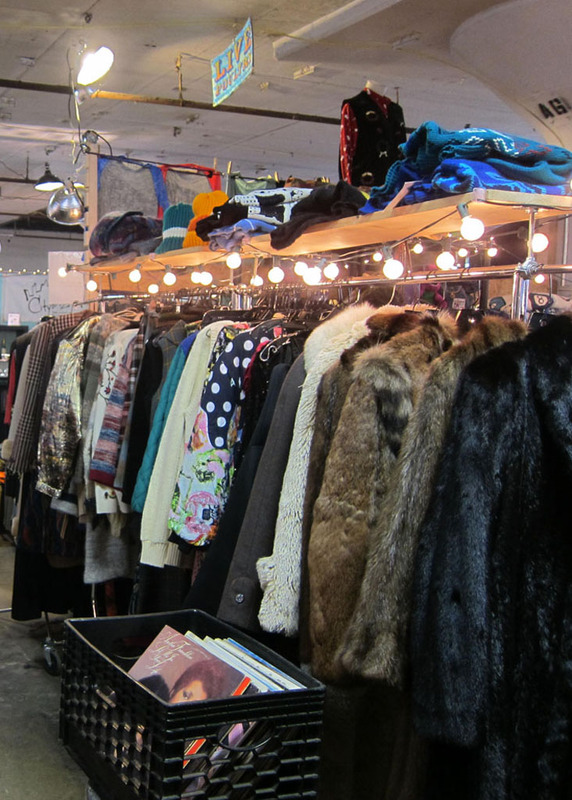 At the weekend, when the industrial loft space is transformed into a treasure trove of sorts, ‘Brooklynites’, curious shoppers, bargain hunters and visitors alike peruse the goods part of the market, which sells a mixture of new and old wares. Stalls overflow with all kinds of vintage fare: antiques, clothing, trinkets, quirky knickknacks, toys, records, maps and boundless gadgets and gismos. As well as retro pieces, prints and recycled furniture. In addition to the vintage finds there are also a bunch of stalls selling locally designed and handcrafted jewellery, clothing and homeware. Now, being the food lover that I am it should come as no surprise that I favour the Smorgasburg section of the market. So much so, I usually make a beeline straight for it. And with an endless line of food vendors from NYC and across the region, each selling a range of delicious prepared and made-to-order food one can eat themselves silly – I usually do! Stalls to look out for: Buttermilk Channel for crispy fried chicken, Mighty Quinn’s for BBQ meats, Red Hook Lobster Pound for tasty lobster BLT’s, and Raman Burger for New York’s newest culinary craze – the Ramen Burger (a hamburger patty sandwiched between two buns made of ramen noodles). For something sweet, you cannot go past these treats: a toasted coconut doughnut from Dough, a sugared buttermilk doughnut from Rockville Market Farm, a cinnamon bun with hazelnut icing and choc chips from Sugar Daddy’s or anything from S’more Bakery. 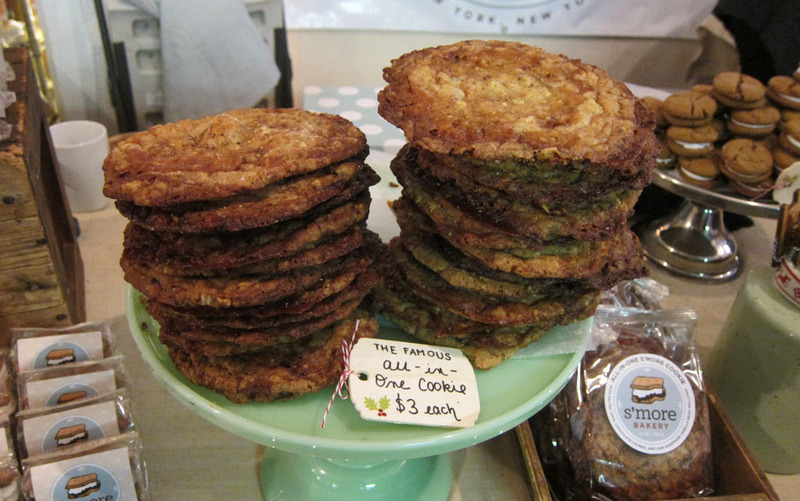 Though you should do yourself a favour and try the ‘all-in-one cookie’ – a sweet combination of choc chips, marshmallow and oatmeal. There’s also a great selection of drinks on offer. On a cold, winters day noting beats a cup (or jar) of hot ginger lemonade from Frittering Away to warm you up. If it’s on the warmer side try a refreshing cup of lemonade from the Vermont Maple Lemonade stall, which will surely cool you down. Overall, the Brooklyn Flea is a great place to spend the day and an excellent excuse to cross the river from Manhattan to Brooklyn if you’re looking for one – not that you need one! Winter Season location only. Dec 1st through to the end of March 2014.